Here at Northern Collision Centre we pride ourselves on giving the highest quality service in today’s competitive industry of collision repair. We have been operating from our custom built site based at 500A Cranford Street, Papanui since February 2008. Our large workshop has modern equipment, a monitored alarm system to ensure customers vehicles are protected at all times, great technicians and a great work ethic. We understand the inconvenience of not having your vehicle, and we know you want to be on your way as quickly as possible. We do our utmost to make this happen. Approved repairers for almost all New Zealand Insurance Companies. Had an accident? What happens now? Make the accident scene safe – turn hazard lights on. Check for injury, if necessary call Police, Emergency Medical Services. If Police attend, get the incident reference number from them. Exchange insurance company information. Do not discuss “fault”. Make a quick diagram of how the incident came about. Indicate your own, and the other vehicles’ direction of travel and lane. Also note the date, time and weather conditions. 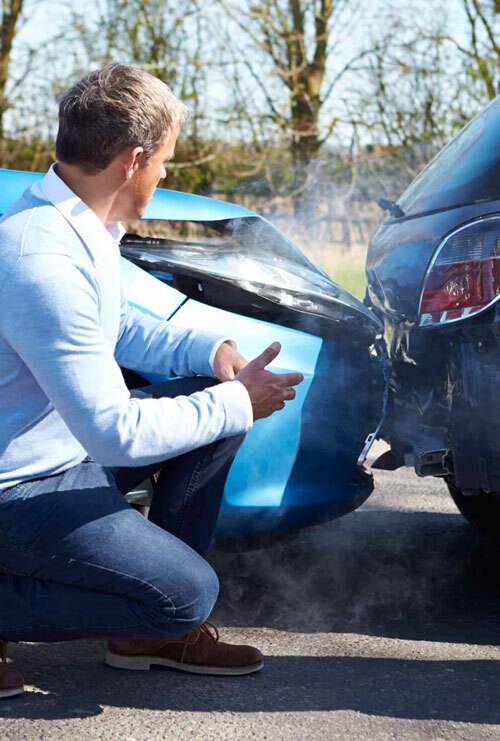 Lodge a claim with your Insurance Company and nominate us as your repairer. Supply them with all details regarding the accident including the other parties details, and the police incident number if applicable. Bring the vehicle in to us for an assessment at a time suitable to you: no appointment is necessary for this. 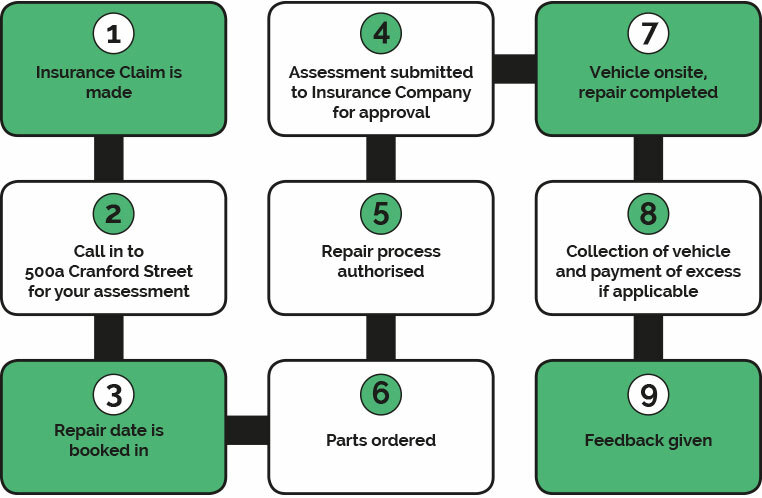 Have your claim number with you if possible – repairs cannot be started until a claim number has been supplied by your Insurance company to the Repairer. We will give you an estimate of how long the repair will take, and the cost of repair. Your vehicle will then be booked in for a repair date that is convenient for you – you will receive a reminder of the booking prior to the date of repair. We do the rest – the cost of the repair will be quoted to your Insurance Company via digital assessment – images of the vehicle, accident damage and our quote will be loaded directly to the Insurance Company’s on-line system. To even start sourcing parts, we need a claim number from your Insurance Company, authorising us to do so. So there are no unforeseen holdups, it is really important that your Insurance Company have all the details they need. The majority of parts, new and used, come from within New Zealand, and are generally delivered within a timely manner. Any delay is usually due to freighting difficulties, road closures, or sometimes the part we need is a little elusive, and just hard to source. Every now and then parts need to be ordered from the manufacturer overseas which can take 1-3 weeks, sometimes longer depending where it is coming from. We will always keep you updated of any delay should it arise. You will be contacted as soon as your vehicle repair has been completed and vehicle is ready to collect. If there is an excess due, please be prepared to pay upon pickup of vehicle, or prior to the vehicle leaving our premises. We are approved repairers for almost all New Zealand Insurance Companies. When you have an accident and have made a claim, you can nominate which repairer you wish to use to complete the repair. Please specify us as your repairer should you wish to choose us.